This Manchester United retro shirt 1976-1977 was used of players like: Gordon Hill, Lou Macari, Steve Coppell and others. 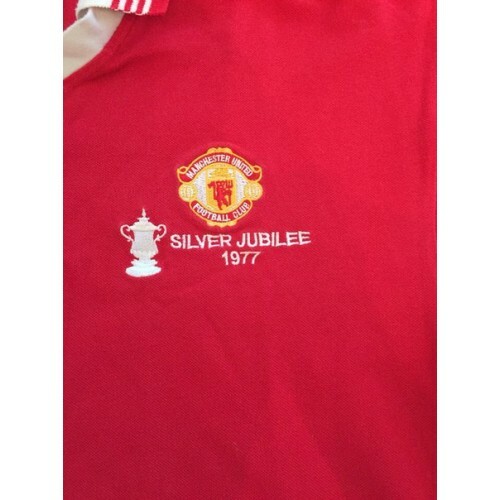 The 1977 FA Cup Final was the final match of the 1976–77 FA Cup, the 96th season of England's premier cup football competition. The match was played on 21 May 1977 at Wembley Stadium, London, and it was contested by Manchester United and Liverpool. United won the game 2–1. All three goals came in a five-minute period early in the second half. Stuart Pearson opened the scoring when he latched onto a long ball forward and drove a hard shot past Ray Clemence. Liverpool equalised through Jimmy Case soon after, as he turned and hooked a right foot half-volley into the top corner, giving Stepney no chance. 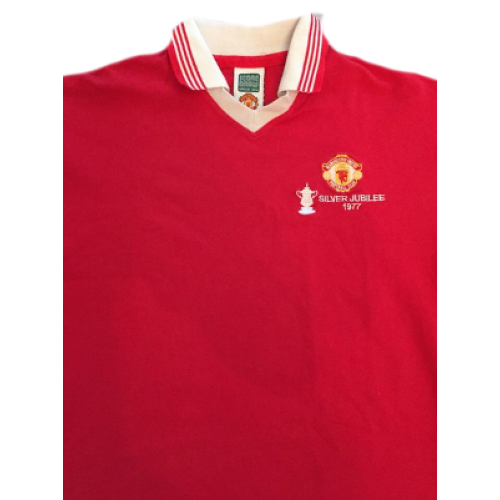 However, just three minutes later, United regained the lead when Lou Macari's shot deflected off team mate Jimmy Greenhoff's chest and looped into the net past Clemence and Phil Neal on the line. 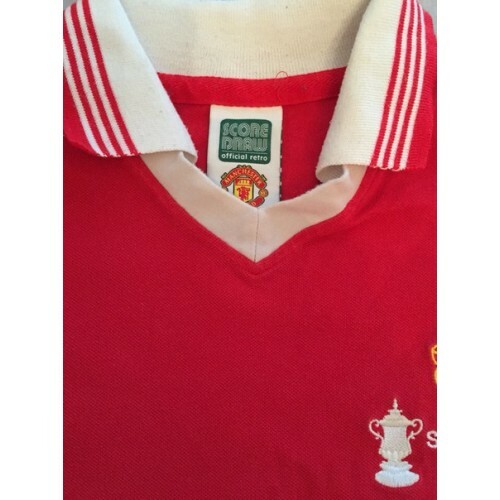 Having already won the league title and then going on to win the European Cup four days later, United's victory prevented Liverpool from winning an unprecedented Treble – Manchester United became the first club to achieve this feat 22 years later. 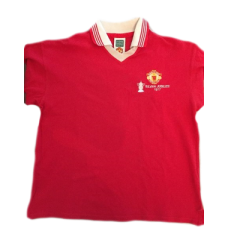 This Manchester United retro shirt away 1992-1993 with Sharp sponsore was used of players like: Gary.. 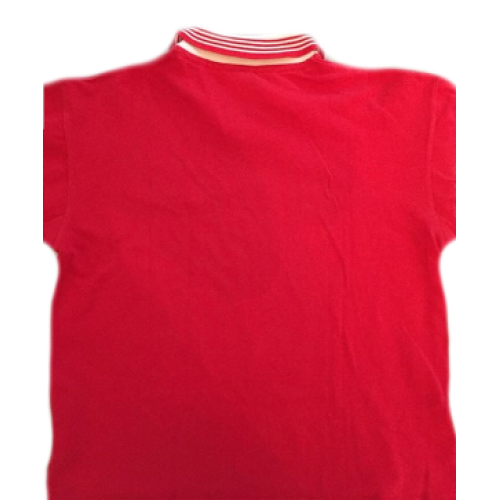 This Manchester United retro shirt home 1992-1993 with Sharp sponsore was used of players like: Gary..